Electronic Hook Switch Cable for remote desk phone call control (answer/end). This cable eliminates the need for a HL10 Handset Lifter. 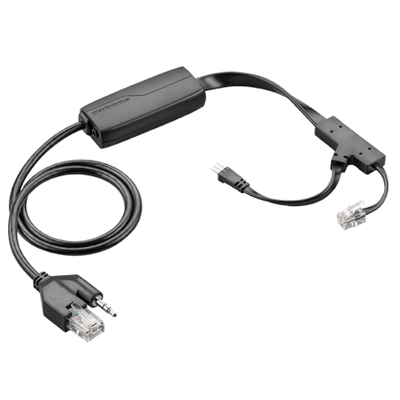 This cable works with Polycom desk phones and may work with additional manufacturers.